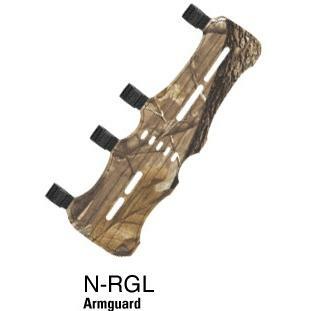 Full size, ventilated armguard, 6 1/2 inch long, comfortable poly-fiber backing, elastic straps with hook & loop fasteners, and three nylon rod reinforcement staves. Full size, ventilated armguard, 5. 75 inch long, comfortable poly-fiber backing, elastic straps with hook & loop fasteners, and three nylon rod reinforcement staves. 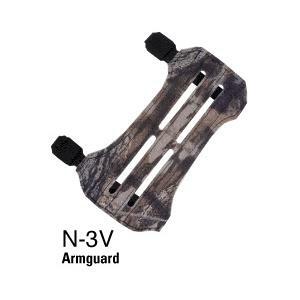 ITEM INFO: Popular 6 3/4 inch armguard featuring three nylon rod reinforcement staves ventilated for cool comfort, adjustable elastic straps with Velcro fasteners and durable poly-fiber back. 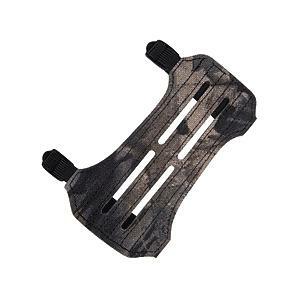 Mossy Oak Break-Up camo. PACKAGE INFO: 1 each. 13 inch ventilated with nylon reinforcement rods in upper and lower sections. Comfortable poly-fiber backing and adjustable elastic straps with velcro fasteners. Mossy Oak Break-Up.